Fiercely cute and fiercely loved, the younger siblings of the Monster High™ ghouls aren't ready for Monster High™ high school yet, but they are ready for monster fun! 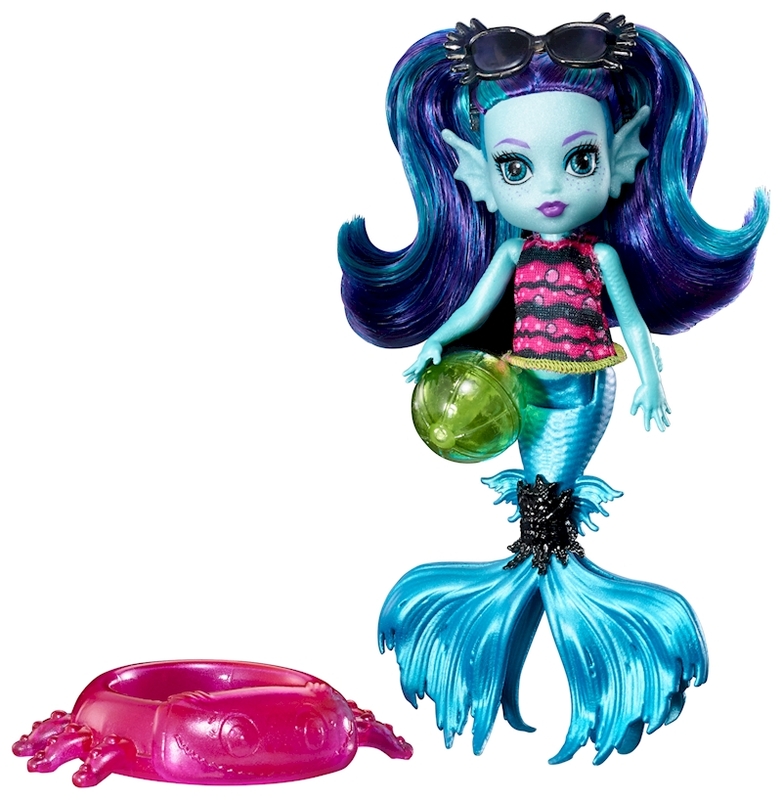 Ebbie Blue™ doll is prepared to swim with her big sister Lagoona Blue™ (sold separately) with accessories perfect for the sea. Designed in small scale (5.5 inches), the little sister doll is kid-cute with clothing, accessories and details that highlight her sea monster evolution, like webbed ears and a blue mermaid tail with fins. She wears a black top with pink wavy print and green trim. Black sunglasses make a cool accessory for a hot day, and a turtle that clips to her tail is a fintastic friend. A pink crab-shaped splash pool and a green beach ball help the daughter of a sea monster make a splash. 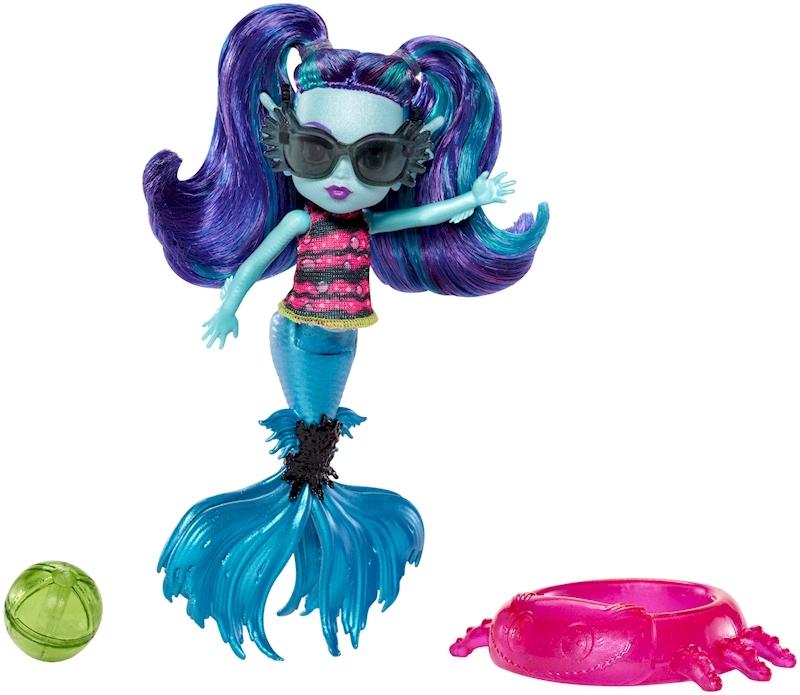 Ghouls at home will love the opportunities to explore family bonding and learn to embrace what makes them unique along with their beast friends from Monster High™. 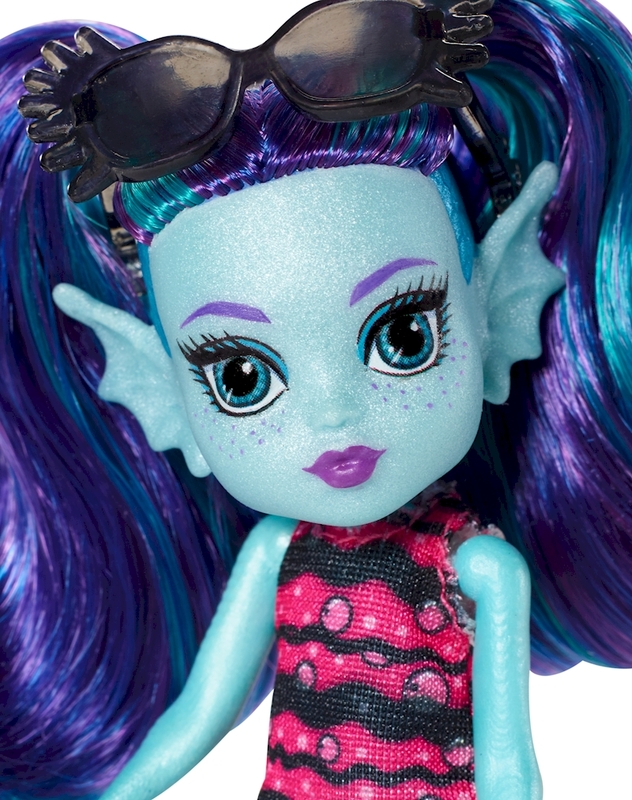 Collect all of the Monster High™ dolls and play sets for your own howlways because Everyone Is Welcome at Monster High™ (each sold separately, subject to availability). Includes Ebbie Blue™ doll wearing fashion, sunglasses, turtle clip, beach ball and splash pool. Colors and decorations may vary.